Tovarníky village is located in western Slovakia, in terms of territorial-administrative division belongs to the Nitra higher territorial unit, district Topolcany. 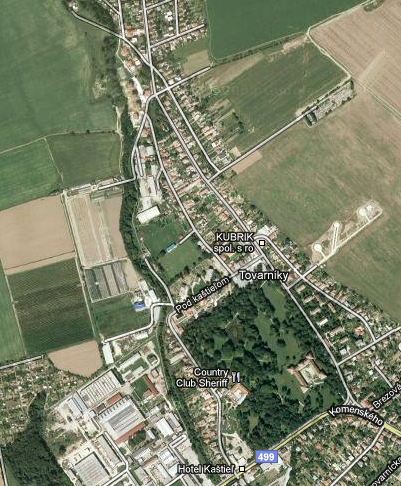 It lies northwest of Topolcany, extending in a basin Chocina creek, which flows into the river Nitra. Cadastral area is 541 ha with altitude from 175 to 288 m. Population 1414.